Was watching The Football Life about Eddie De Bartolo. They were talking to Bill Walsh and he mentioned that the playoff loss to Minnesota in 87 was the toughest loss of his entire career. Anthony Carter just killed them that game. That was one of the Vikings' most surprising performances of my lifetime. That was completely unexpected by everyone, considering how dominant the 49ers were that year. It was also a case where Bill Walsh severely underestimated the Vikings pass rush, which was helped by the sloppy field at Candlestick. Joe Montana was getting hit on just about every pass play and the only thing Walsh could do was pull him in favour of Steve Young in the 2nd Half. It's just unfortunate that Ashton Kutcher (from Iowa) chose to be a Bears fan. 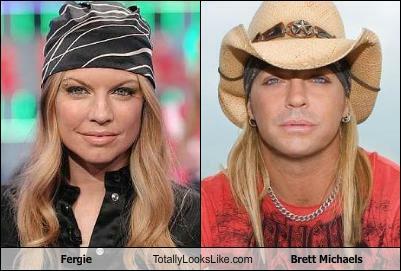 We'll take it, even though I'm not a fan of Fergie, either visually or musically. I guess he had a good surgeon. How are they not cheerleaders over what the Vikings have? I know, I know, I know...neither Jar Jar Binks nor Brett Michaels are technically men either. I do not generally like country music, but I saw the Civil Wars on ACL this weekend. First, amazing cover of Billy Jean. Second, bought their "CD" on Amazon. It is good. A couple country sounding songs, but mostly just good music. He really never saw much playing time as the #4 CB, behind Cook, Robinson and Winfield. Just recently, Cook was placed on IR with an injury and that has opened the door for Jefferson as a starter. Jefferson has a lot of nice potential and really looks the part of an outside CB, though he has struggled in coverage. Calvin Johnson had a monster game, and im sure Jefferson got some opportunities to cover him. He did give up some big catches to Mike Williams against Tampa as well, his first game with meaningful playing time. Jefferson looks like a solid nickel CB going forward, assuming Cook and Robinson are the starting two. f not for Cook's injury, Jefferson would be the dime CB. Well yeah, I know with Cook going out Jefferson has taken his spot. He only gave up one catch to Mike Williams and PFF had him only giving up one catch to Calvin Johnson as well. Seems like Calvin Johnson caught a lot of passes in zone against safeties. Naturally how the zone scheme goes, its hard to put blame on one player or if a player crosses into a players zone its hard to track who was really responsible. basically since the Vikes are a such a zone heavy team, judging cover stats really isnt always accurate. A CB not playing there zone properly can leave the deep safety vulnerable and vice versa.